Alexa for Business helps you simplify your conference room experience. It lets you use your voice to start meetings and control your conference equipment. You can say “Alexa, join my meeting” and Alexa starts your scheduled meeting. When there is no meeting on the calendar, Alexa prompts you for a meeting ID to start a one-time meeting. Alexa for Business integrates with conferencing equipment providers, such as Cisco Telepresence and Zoom Rooms. In this blog post, we describe how Alexa for Business integrates with Cisco Telepresence video conferencing endpoints. This section defines important terms to help you better understand and use the Alexa for Business console. Conference provider — The conference provider contains the required settings Alexa for Business uses to compose a dial string to dial into your meeting. Examples of a conference provider include Amazon Chime or Cisco WebEx. Conference equipment skill — The Alexa skill that controls your conferencing equipment. 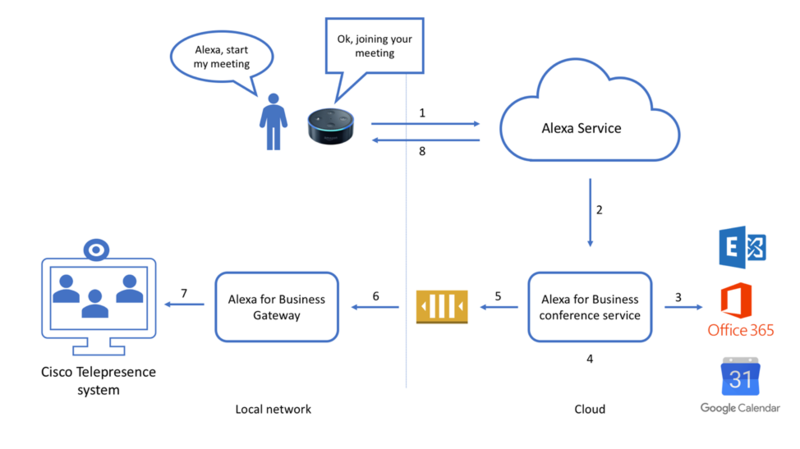 Alexa for Business gateway — The component that runs on your local network. It controls your video conferencing endpoints after it receives a message from Alexa for Business. Conferencing endpoint — The endpoint contains the settings of your video conferencing system, such as the IP address and model name. The first step is to open the Alexa for Business console, and link your calendar system to Alexa for Business. Your calendar system can be Google G-Suite, Microsoft Office 365, and Microsoft Exchange, as shown in the following example. 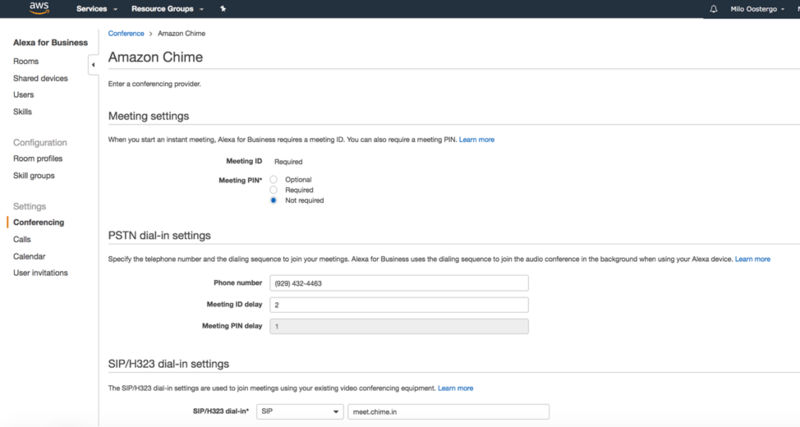 By linking your calendar system, Alexa for Business can look up the dial-in information for the upcoming meeting. 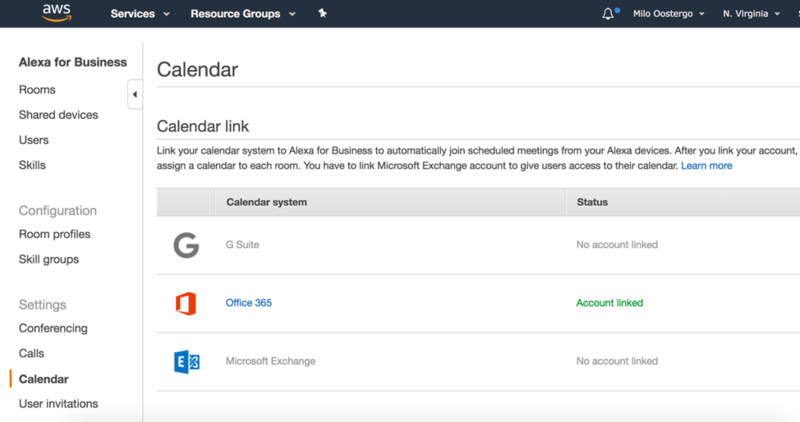 For more information about setting up your calendar system, see the Alexa for Business Administration Guide. The second step is to set up your conference provider in Alexa for Business. Alexa for Business supports popular conferencing providers including Amazon Chime, Cisco WebEx, Zoom, and BlueJeans. For the example in this post, we use Amazon Chime. To add Amazon Chime as your conferencing provider, choose Conferencing, Add provider, Amazon Chime. Alexa uses the provider name and meeting settings to prompt you for information to join a one-time meeting. When you set a meeting PIN as optional or required, the user is prompted for this additional information. In the SIP/H323 settings, you must specify the endpoint and protocol to connect to your meeting. Alexa for Business uses these settings to compose a dial string. In this example, the Amazon Chime SIP and H323 endpoint is already filled in. If you are using a different provider, you must update this setting. Enable the Alexa for Cisco Telepresence skill, add it to a skill group, and assign the group to the rooms where you want to enable the integration. Install and run the Alexa for Business Gateway on a host within the local network where you have your Cisco Telepresence endpoints connected. The Alexa for Business Gateway is a lightweight process that you can either run on a Windows or Linux host. To receive messages from Alexa for Business, you must provide AWS credentials and the credentials to access your Cisco Telepresence endpoints. For redundancy, you can run multiple gateways in your network. Add the details of your video conferencing endpoints to Alexa for Business. To do this, go to the Alexa for Cisco Telepresence skill, and choose Add endpoint. Specify the endpoint URL, model, and endpoint name. Now that the setup is complete, we can look at how the end-to-end flow works. You ask Alexa to join the meeting, and the request is sent to the Alexa Service. The Alexa Service recognizes the intent and sends it to Alexa for Business conferencing service. The Alexa for Business conferencing service composes a message. The message includes the meeting ID parsed from the scheduled meeting or spoken by the user, the SIP settings from the conference provider, and the endpoint details. The Alexa for Business conferencing service sends this message to the specific queue the Alexa for Business Gateway is registered to. The Alexa for Business Gateway receives and processes the message. The Alexa for Business Gateway initiates a dial command on the Cisco Telepresence endpoint to join the meeting. The Echo Dot device in the room returns a voice message indicating success or failure. Go to the Alexa for Business to get started. For more information about integrating Alexa for Business with Cisco Telepresence endpoint, see the Alexa for Business Administration Guide. 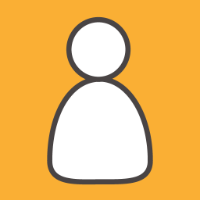 If you have questions or suggestions, reach out to us in the AWS Forums or through AWS Support.